Bread SRSLY is a brand new CSA bakery for “foodies with allergies.” Sadie Scheffer went into business after learning of her own gluten intolerance and now delivers bread via bike on Tuesdays in San Francisco and Fridays in the East Bay. 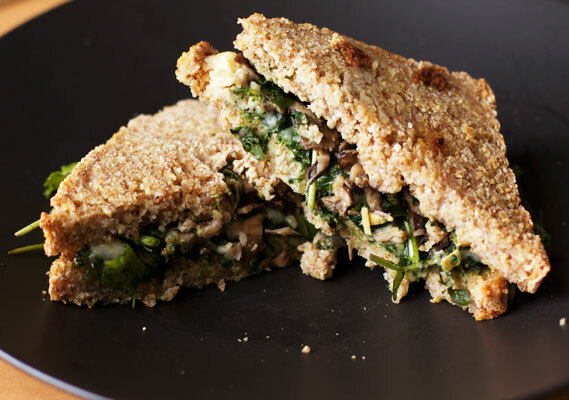 Bread SRSLY caters to people that avoid gluten, soy, egg, dairy and nuts. Her breads are made with home dried local herbs and 100% gluten free ingredients, sourced fresh from mills that use clean, uncontaminated equipment. With loaves like whole grain fig & fennel and apricot & cinnamon it’s hard to resist not placing a weekly order. Don’t forget to tack on a wholegrain vegan apple muffin to your delivery (see menu for weekly option). In addition to bread delivery, Sadie offers awesome gluten free sandwiches on Mondays. Creative combinations like the “steam punk,” a sandwich with ginger shiitake relish, stinging nettle pesto and Point Reyes cheddar (sub avocado for dairy free) on homemade sourdough. Every ingredient can be sourced back to the farm, and the selection changes weekly. Sandwiches are available Mondays at noon at the Yerba Buena Center Steps and at 1pm at the Beach Hut Cafe in Crissy Field, but check her website for weekly menu options and location. When your bread is delivered, my advice is to eat it with in a couple days or slice and freeze it. 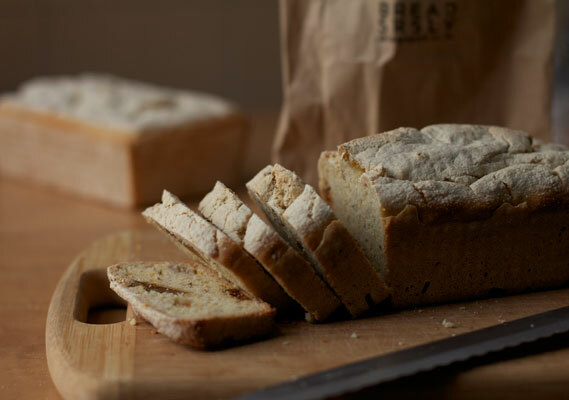 Most of you are very familiar with gluten free bread, and her gorgeous handmade loaves are no exception to the rule. For Tuesday delivery in SF, order by noon on Monday. For Friday delivery in the East Bay, order by noon on Wednesday.